Lizzy Magarian is an Associate in the Corporate Practice Group. 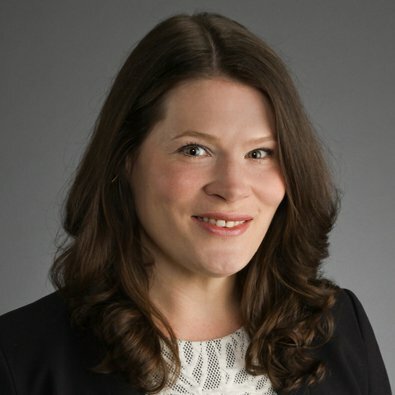 Together with her colleagues in the Corporate Practice Group, Lizzy represents companies in mergers and acquisitions, commercial contracting, entity formation, and corporate governance. In addition to her corporate work, she enjoys counseling her clients through matters involving real estate, litigation, and employment issues. Prior to joining Freeborn, she served as Corporate Counsel at Aperion Care, Inc., and Associate General Counsel at Pinnacle LED Solutions. As a former in-house attorney, Lizzy has a genuine interest in understanding the intricacies of her clients’ businesses and transactions. During law school, Lizzy was a member of the Annals of Health Law. She also served as a Judicial Extern for the Hon. Samuel Der-Yeghiayan, United States District Court, Northern District of Illinois. Represented an Iowa-based consumer device company in the acquisition of a California-based specialty insurance company. Represented individual buyer in the purchase of a local Chicago tavern. Acts as outside counsel to a multinational engineering and electronics company, reviewing and negotiating commercial contracts relating to the sale of supplies and equipment throughout Europe and the United States. Sale of an ACDBE qualified concessionaire whose locations span airports throughout the United States. Acquisition of a Traverse City-based private airline service. Sale of an Illinois-based gaming company subject to the Illinois Video Gaming Act to a California-based private equity fund. Represented a London-headquartered public company in a combined stock and asset purchase of four corrugated packaging facilities in Virginia, North Carolina, and Tennessee. Counseled entrepreneurs through startup and growth processes; drafted independent contractor agreements, promissory notes between stakeholders and entities, operating agreements, and other baseline corporate documents necessary for the foundation of a strong business. Drafted, reviewed, and negotiated a wide variety of national and international commercial agreements to meet business and legal needs, including complex technology, SaaS, sale and purchasing contacts, manufacturing, logistics, terms and conditions, packaging, and a variety of merger/acquisition deal agreements. Represented an Oregon-based manufacturer of audio and video equipment in a sale to a large family office. Served as U.S. counsel for a London-based company in connection with the sale of a division that manufactures and distributes aircraft equipment in the U.S. and in Europe. Lizzy provides services to pro-bono clients through the Chicago Alliance Against Sexual Exploitation (CAASE), a legal advocacy group dedicated to helping victims of sexual exploitation and violence.